The Boy Who Ran, in paperback, is available locally in Woodland Park at Brenda’s Boutiques at a significant discount off the list price. For those who want me to sign the book, leave it at the store. I try to have breakfast in the Hungry Bear once a week, across the street from the store, and will stop in to sign books. On April 9 at 2pm, there is an author’s showcase for local authors. I’ll be there too and will answer questions about the book, then will walk to Brenda’s to be available for an hour or so, after the event. 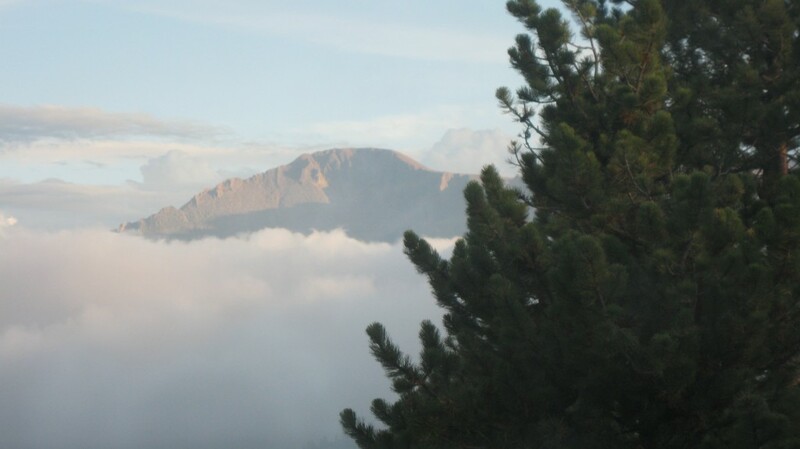 Woodland Park (City Above the Clouds) is located in Colorado, about a 30-minute drive west, into the mountains, from Colorado Springs. It’s a town of about 7600 people and is at an altitude of around 8500 feet. The Attached Photo is from my bedroom window, taken this past summer / fall. Looks even better this full page size Michael!